Oficials said 70 percent of fuel rods at one of the six reactors at the plant were damaged after the joint hit by Earthquake and Tsunami. 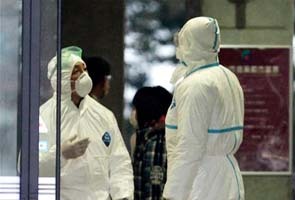 News reports said 33 percent of fuel rods were also damaged at another reactor. Officials said they have plans of spraying water from Helicopters and fire trucks on the nuclear plant to reduce any further radiation leak, cooling the reactors. The level of radiation at the plant surged to 1,000 millisieverts (The amount of radiation the `dose’ received by people is measured in millisieverts) early Wednesday before coming down to 800-600 millisieverts. Though the level of radiation has come down but it is high enough to cause any damage to people. Experts say exposure of around 1,000 millisieverts is enough to cause radiation sickness. This incident created an international cause of worry, that some people had started comparing it with the Three Mile Island and Chernobyl. little radiation was also detected in Tokyo which is 150 miles (240 kilometers) to the south form the Fukushima nuclear plant, triggering panic in buying food and water.